Norway maple is native to central and northern Europe including parts of Norway, indicating its significant cold tolerance. 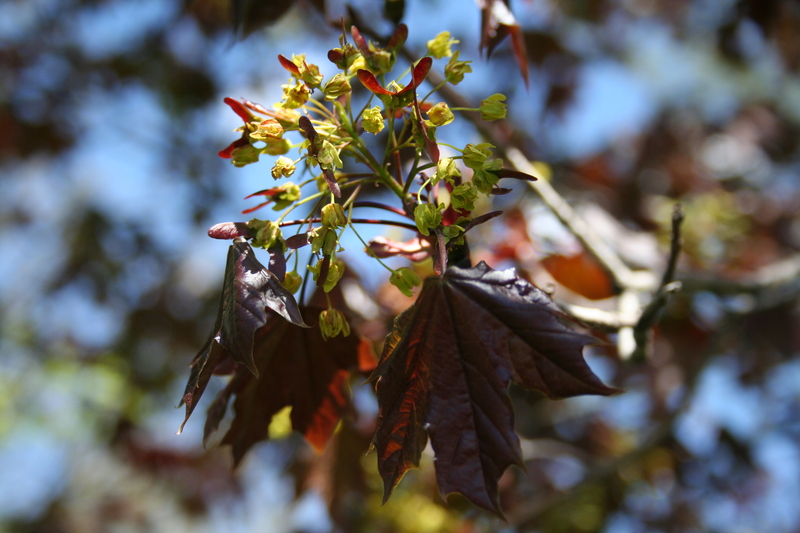 Norway maple is considered easy to grow and tolerant of a wide range of soil conditions. Unfortunately, many cultivars are very prone to “frost-cracking”, a type of bark-splitting on the lower trunk thought to be caused by freeze-thaw cycles in the winter. The tree typically develops a rounded habit, sometimes growing wider than tall when planted in the open. The dark green leaves are similar to sugar maple, the chief differences being that they are more distinctly five-lobed and they contain a milky sap. The leaves can turn a very nice pumpkin yellow in the fall, however, they are often frozen green in our region. Norway maple is invasive in some eastern US forests with their dense shade greatly altering the forest ecosystem. As such it should not be planted near important native woodlands.